The historical layers of New York City are rich with colorful and interesting information. Here are ten tidbits of early historical facts from the last four hundred years. 1. Before the arrival of Europeans, New York’s population was comprised of the Lenape Nation. This branch of Algonquin people fished, hunted and farmed the area between the Delaware and Hudson Rivers. 2. 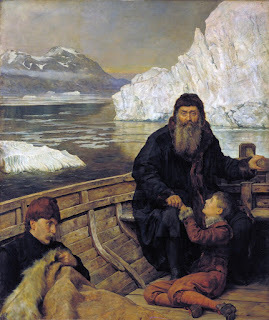 In the early part of the 16th-Century, the Italian explorer and French sponsored buccaneer, Giovanni da Verrazzano sailed up and down the coast of New York in search of a faster route to Asia. 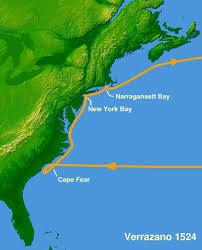 He discovered New York Harbor, Block Island and Narragansett Bay, though never set foot on shore. His last journey was to explore an island south of Jamaica where he was captured, killed and eaten by cannibalistic natives. 4. During his fourth exploration to the New World in 1613, Adrianen Block’s ship, the Tyger was moored along southern Manhattan. The ship accidentally was destroyed by fire and while building a new ship (with the help of the Lenape) Block and his crew erected the first European built dwellings on Manhattan Island. 5. It wasn’t until 1624 that the first settlement was established in Manhattan. A group of settlers sent by the Dutch West India Co came to the New York area with the intentions of launching up a permanent trade business. Most of the settlers went further upriver to the area of Albany N.Y., but a small group of men stayed on Manhattan Island. The following year they were joined by 45 additional settlers who built Fort Amsterdam to protect the new colony. Island. In 1626, he and the Lenape Nation negotiated a price that has been valued at about sixty guilders worth of goods and supplies, or about $24.00. 7. New Amsterdam (New York) was incorporated as a city in the year 1653. A wooden palisade was built (where Wall is today) to mark the northern city limits. By this time, there were about 1,000 residents living the city. 8. 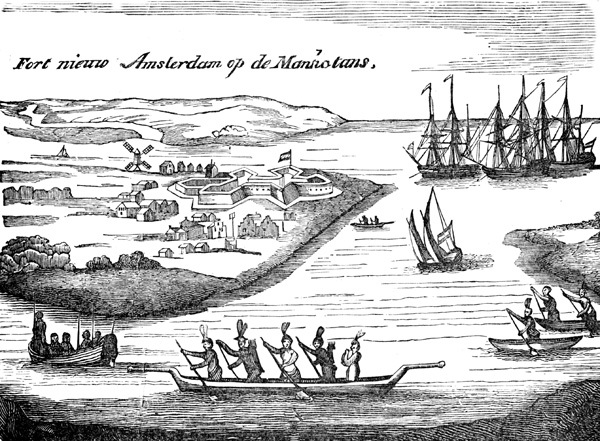 The British seized New Amsterdam in 1664 from the Dutch. They gave the city a new name, New York City. The city quickly expands and diversifies to include immigrants from all over the world. By 1760, the city’s population tops 18,000 to become the second largest city in the Colonies. 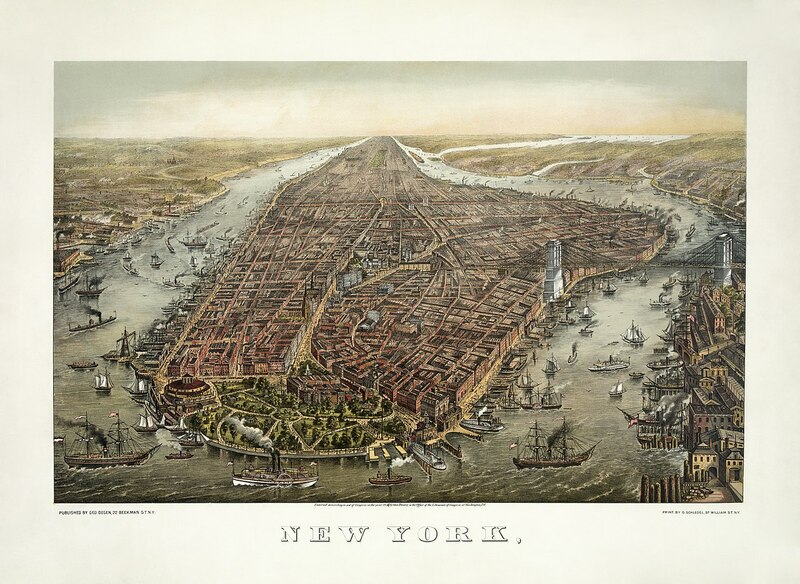 Only fifty years later, New York City is the largest in the Western Hemisphere. 9. In the 1760’s and 70’s, New Yorkers fuel the rise in patriotism and the desire to break free of the British monarchy’s strong hold on the American Colonies. The Sons of Liberty are born in in the dark taverns of New York. Their goal—to stop the encroachment of British law on American freedoms. 10. The first blood drawn of the American Revolution happened at what is now known as John Street. In 1770, a skirmish between British soldiers and American Patriots resulted in a resident’s face being slashed by a bayonet and another near fatal stabbing. The Battle of Golden Hill took place six weeks before the Boston Massacre. History of New York City is full of fascinating stories. When I walk the streets of Manhattan, I try to imagine the landscape before the concrete jungle arose. It's not easy,but a stroll through Central Park or one of the other city parks can help. I hope you enjoyed a few "bullet" points of New York City history. Have a wonderfully, blessed month, until we meet again. Multi-award winning author, Michele Morris’s love for historical fiction began when she first read Laura Ingalls Wilder’s Little House book series. Michele loves to hear from readers on Facebook, Twitter, and through the group blog, Heroes, Heroines, and History at HHHistory.com. She is represented by Tamela Hancock Murray of the Steve Laube Agency.